"Circle of Hands" - Jeff and Bob kick this tracks intro off. Jeff play's a very laid back picking pattern. This picking pattern was recorded where it sounds like two different guitarist, one on the left channel and one on the right. This is the first sign of the one hundred years experience of studio work these four guys have. Underneath the guitar arrangement Bob thumps out simple whole notes. Then every third bar of the bass line is exactly as the guitar arrangement. These whole notes of the bass line give the intro a lot of dynamics and depth. The vocal sound of the verses are done in a style your not use to hearing from Joe much. They're more that back and mysterious sounding. Which is great because it is just another mark upon the chock board that shows Joe is very talented and underrated. As a drummer one thing I noticed quick was Bob and Jeff playing is so strong that you really do not pick up on Carmine's disti! nct drum style. The chorus is very laid back and has a real simple groove to it. They added an echo to the backing vocals of the choruses, which was a nice effect for this track. The breakdown section not only has a solo over but also a huge harmony vocal section. "Cradle to the Crave" - This track kicks off with a children-playing effect. Musically the track opens with a huge Daisley bass line with a minor lead guitar scale. Joe's vocals on the track have a very haunting effect to them. They add a backing harmony section at the end of each verse, great writing technique. You talk about hooks; this chorus has about the biggest hook within it I've ever heard. No amount of words could describe how huge it is. The first half of the solo has a very Pink Floyd effect to it. The song is very short. "Misery Me" - This track opens with a very abstract bass effect. When the track kicks in it really has a Pink Floyd live effect to the listener. This track has a very strange lyrical arrangement that consist of a lot of backing harmonies. It's very hard to tell but Joe's vocals sound overdubbed on this track. Throughout the track Joe really shows great vocal control. The solo for the track is very short. During the chorus after the solo Bob completely blows me away with a break in the pattern he was playing. "Planet Earth" - Jeff chose the appropriate guitar for this track. The guitar's sound has a very relaxing feel to it. Vocally if Joe is singing upon this track it completely does not sound like him. The overdubbed lead guitar rhythm sections were placed in very good spots upon the arrangement. The backing harmonies of the vocal sections have a very druggy effect on the listener. At the end of the track there is a small "news commentary" section. "For the Moment" - This track opens with Jeff, Bob, and Carmine. The bass lines of the intro sound reverbed a little. The lyrical arrangement have a very sixty's influence to them. This track has a few very distinct backing harmonies laced within the vocal arrangement of the verse. After the first chorus Carmine plays several drum fills where you can hear his distinct playing style. I really liked the sound of the backing vocals of the chorus. The guitar patterns are fairly simple and straightforward, nothing to ballsy. The track all in all is just laid back and real solid. The solo builds with intensity as it progresses along. "Seas of Eternity" - The first half of the intro opens with a simple strumming electric pattern. The second half of the intro has a real solid heavy bass line. The lyrical arrangement to put it blunt is an acid trip through the mind. There really is not a main guitar arrangement on this track. The guitar arrangement more or less is real small lead rhythms hooked together. The added a lot of bass effect to Joe's vocals, which make the vocals, sound real heavy. The solo is very distant sounding and underscored by Bobs heavy bass feel. "The Child Within" - This track opens with a Pink Floyd "The Wall" type guitar pattern. Before going into a solid picking electric arrangement. Joe shows his vocal control on this track quite a bit. The way the micing is done on this track makes it sound like it is way off in the distance. Carmine's drum fills have a real heavy sound to them. There was no solo on this track. "One Common Law" - This track opens with a real simple early eighties sounding pop arrangement. The vocals through the verse sound overdubbed. The vocal arrangements have a couple real cool backing harmony sections. The break down section of the song has a very abstract feel to it. The musical arrangement really shows Jeff and Bob's years of experience by changing rhythms a couple times. 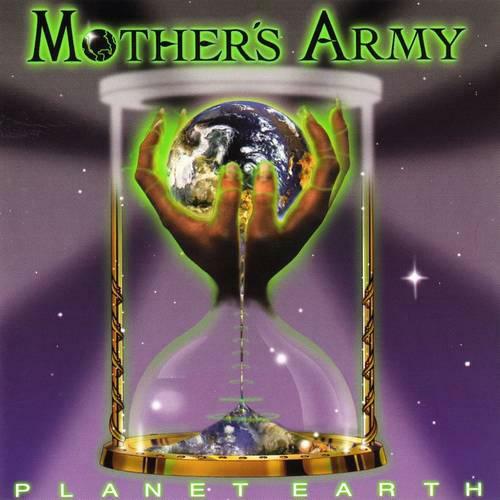 "Mother Earth" - This track is a twelve bar blues song. Musically it really expresses the bands love for the blues. Bob locks into a nasty sounding groove where any fan of the blues would get off on. There was just one complaint with this track it was way to short. When you figure the years of experience: Joe, Jeff, Bob, and Carmine have been in the music business, it tally's up to over one hundred years of experience. That is a hell of a lot of talent!! So even before playing this release you should know these guys know what they're doing in the studio. While writing this review I couldn't help but think that the sad thing is over the years these four members did not receive the actual credit they have deserved. "Planet Earth" is a lot like most of Pink Floyd's stuff. The music surrounds you and opens up your senses. Which makes you feel like you are in the control room while the band recorded the release. This is very difficult to capture this feeling unless you know what your doing.